Dermatitis is a generic term used to describe a number of medical conditions that cause inflammation of the skin. 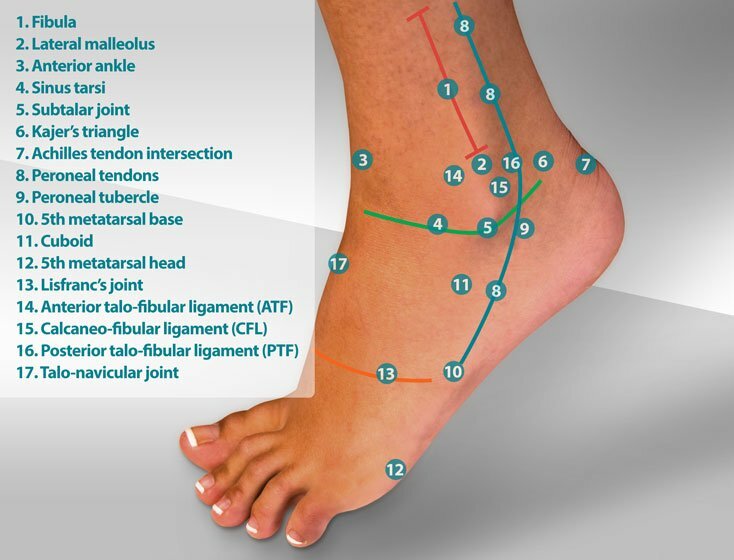 Dermatitis of the foot can be the result of direct and indirect causes. Direct causes include a contact allergen (e.g. poison ivy, chemicals) or infectious organism (fungus and bacteria.) Indirect dermatitis is due to an allergic response without an identifiable cause. Dermatitis may also be related to systemic disease or insufficient arterial or venous circulation of the leg and foot. In the adult foot, the most common source of dermatitis is a chronic fungal infection of the skin called dermatophytosis. The appearance of dermatophytosis resembles dry skin. Dermatophytosis is found on the sides and soles of the feet. The border of a dermatophytic infection is often quite distinct and well defined. The fungal organism responsible for dermatophytosis burrows into the skin causing inflammation and rapid exfoliation. Dermatophytosis is often mistakenly treated as dry skin. Contact dermatitis is another common form of dermatitis seen in foot care. Contact allergens can be any number of chemicals or environmental substances. The chemicals used in the processing of leather are a common contributing source of direct contact dermatitis of the foot. Other direct irritants seen in adult foot care include cement dust, fertilizers, and herbicides. A number of direct irritants are activated by light exposure and include sun screening agents, topical antibiotics, and aerosol tanning agents. Biological irritants that contribute to dermatitis, such as poison ivy and poison oak, are also common in foot care. 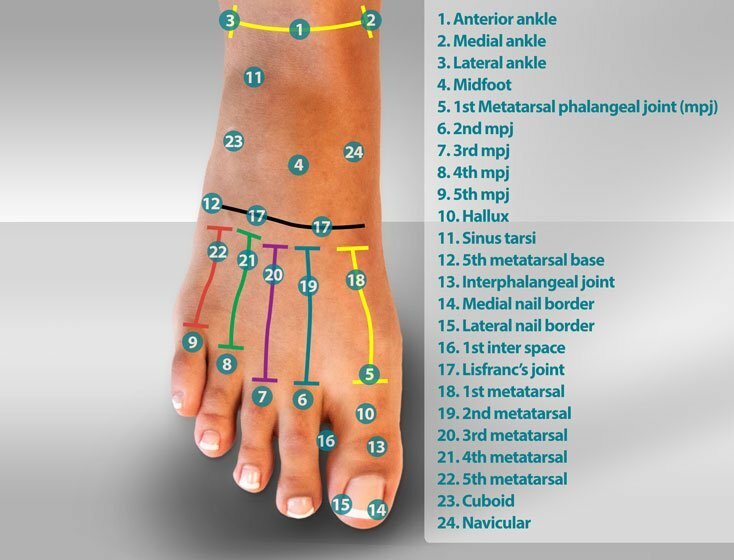 Atopic and neurotic dermatitis are two forms of dermatitis also found in adult foot care. Atopic dermatitis is a category of dermatitis that is usually associated with allergic disorders such as asthma and hay fever and immune disorders. Neurotic dermatitis is found in patients who experience generalized anxiety that results in focal irritation of the skin of the hand or foot, often both. The primary symptom of neurotic dermatitis is chronic itching and scratching of the foot. Dermatitis secondary to circulatory changes of the feet is common. Decreased arterial flow to the feet results in dryness and a brittle appearance of the skin. These findings are common in older adults. In advanced peripheral arterial disease (PAD), crusting of the compromised digits occurs. Crusting is also found in acute cases of circulatory compromise such as frostbite. Venous stasis dermatitis is common in older adults who have poor venous return of blood from the feet back to the heart. This condition results in pooling of fluids in the lower 1/3 of the leg. This pooling creates a rough "orange peel" appearance of the skin of the leg. The skin also becomes flaky and dry. 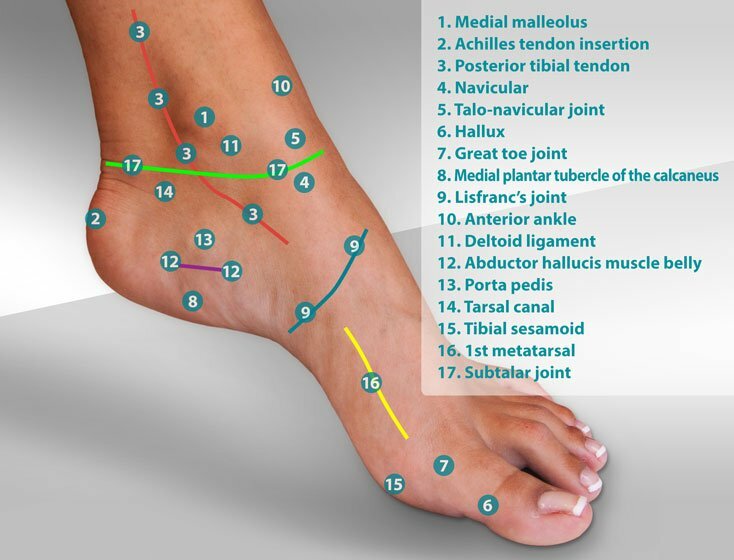 Ulcerations of the medial ankle are common. Dermatitis of the feet may also be found in children. 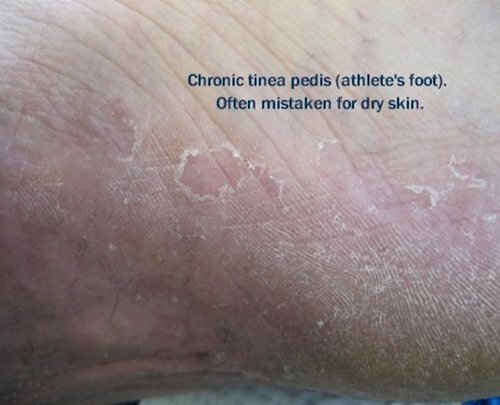 Toe box dermatitis is a common condition seen in young children that is the result of wearing rubber toe caps in tennis shoes. Rubber cannot breathe, therefore the skin of the toes becomes macerated and reacts to excessive moisture. To treat toe box dermatitis, first take a careful look at the materials that are used to manufacture the shoe. Avoid shoes that contain non-breathable rubber components. There are many causes of direct dermatitis that can come from nature or our work environment. Determination and elimination of direct contributing factors in dermatitis may often result in a cure. Indirect contributing factors may be more difficult to ascertain without medical assistance. 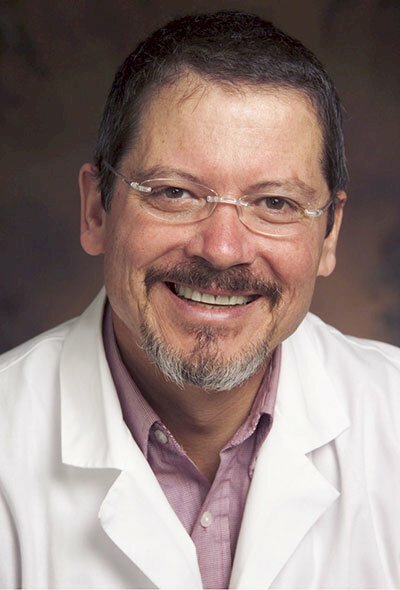 An understanding of skin and how medical conditions may affect skin is imperative in understanding how indirect causes of dermatitis can be changed. 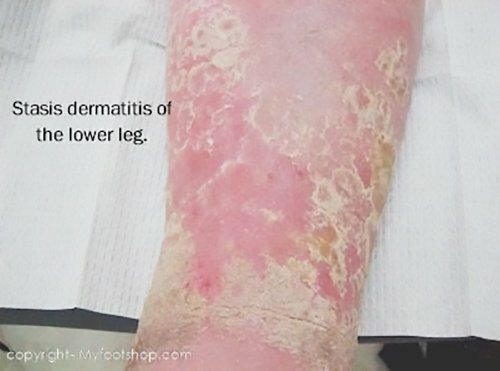 Knowing that the term dermatitis describes a number of different skin conditions, it's important to understand that each specific type of dermatitis may require unique treatment. Dermatophytosis (fungal infection) is best treated by changing the environment within the shoe to be less conducive to the growth of fungus. Fungus thrives in a dark, damp environment. The creation of a dry, cool environment can make a significant first step in treatment. Dermatophytosis is also treated by using a combination of a drying agent, antifungal shoe spray, antifungal soap, and a topical antifungal on a daily basis. One important aspect in treating contact dermatitis is a good patient history that recognizes the patient's occupation and social activities. First and foremost in the treatment of contact dermatitis though is the identification and removal of the contributing irritant. This process may not be easy and may include the discontinuation of any oral medication taken by the patient that may be a source of systemic skin reaction. Avoid direct sun exposure. Use of an oral or topical antihistamine may help control any inflammatory reaction. And lastly, skin softeners need to be used to hydrate the skin. Atopic dermatitis and neurotic dermatitis are both treated with topical steroid creams and skin softeners. Pruritis (itching) and neurotic excoriation (scratching) at night can be managed by wearing socks. Treatment of arterial and venous forms of dermatitis focus on the return of normal blood flow to and from the extremity. For arterial forms of dermatitis, skin softeners should be used on a daily basis. For venous dermatitis, elevation of the legs and compression hose are used to control swelling of the legs. Topical skin softeners and topical steroids are also helpful. Toe box dermatitis in children is treated by eliminating the shoes that cause the dermatitis. Consider rotating shoes, wearing them only once every other day. Powders and sprays can help to wick away moisture from the foot. Lastly, frequent changes of socks will always help. Dermatitis can be a primary problem or may be a secondary problem that is the result of an underlying disease. When dermatitis fails to respond to a reasonable period of conservative care, an evaluation by your podiatrist or primary care doctor is indicated. Dermatitis by Myfootshop.com is licensed under a Creative Commons Attribution-NonCommercial 3.0 Unported License.